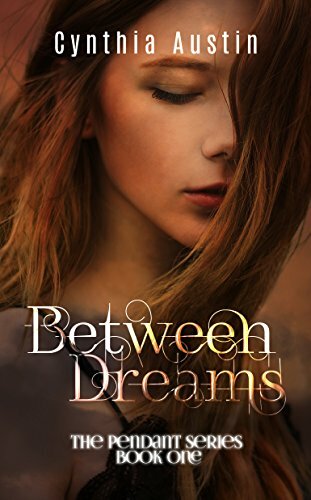 In Between Dreams by Cynthia Austen, Sidney Sinclair is eighteen years old, and her boyfriend's band scored a major contract with a recording company in LA. While she dropped everything to go with him, she is called back home to help care for her grandmother, who suffered a stroke. While there, she finds a pendant that had belonged to the mother she never knew. She begins having odd dreams, meets the man featuring in the dreams, and has to reconcile what others want from her. There were a lot of descriptions of the places and music within the story, which is fitting for a plot the hinges on a character being involved in the LA music scene. It was very difficult to like all of the characters, though. Sidney gives up everything she thinks she wants just to please others. When she acknowledges this trait and is determined to change it, she does it again. Her friend is materialistic and her boyfriend is emotionally manipulative. Adrian is meant to be charismatic and smooth, but I found him a little creepy. There is a religious undercurrent that abruptly takes center stage for a while, then retreats as Sidney again is manipulated by Ray into agreeing to remain his girlfriend, even if he had cheated on her. That Ray and his band mates blame Sidney leaving to care for her grandmother as the cause of Ray cheating bothers me greatly; there is no excuse for that behavior, and the gaslighting is atrocious to see treated as normal. A minor point, but it also took me out of the story to have Sidney's best friend described as a clothes horse and constantly buying new things when it's repeated several times that they live in Northern California and her father is a primary care physician. The standard of living is pretty high there, and doctors don't make that kind of money! I also didn't see how a good friend could bring Sidney somewhere she didn't want to go, then not notice when she leaves the bar and doesn't return. These kinds of inconsistencies really bothered me, and then there was an abrupt cliffhanger ending to lead into the second book of the trilogy. I understand that the characters are all teenagers, and they're still discovering who they are and how to relate to others. I'm sure there are plenty of teens that would read this book and relate to the characters. I found it very difficult to care about what would happen to them, or even what the dream sequences would lead to.